Balenciaga‘s bulky Triple-S kicks has returned with another colorway option. Similar to its grey, black and volt iteration from early August, the sneaker dials it back to the original design with larger branding found on each lateral side. The multi-layered details are present once again thanks to the leather and textile paneling. White and black speckled laces offset the bright base as the Balenciaga insignia and sneaker size callout are incorporated into the tongue and toe respectively. Finally, the triple-layered rubber outsole shares a worn-in look while mixing sail and grey for the finishing touches. 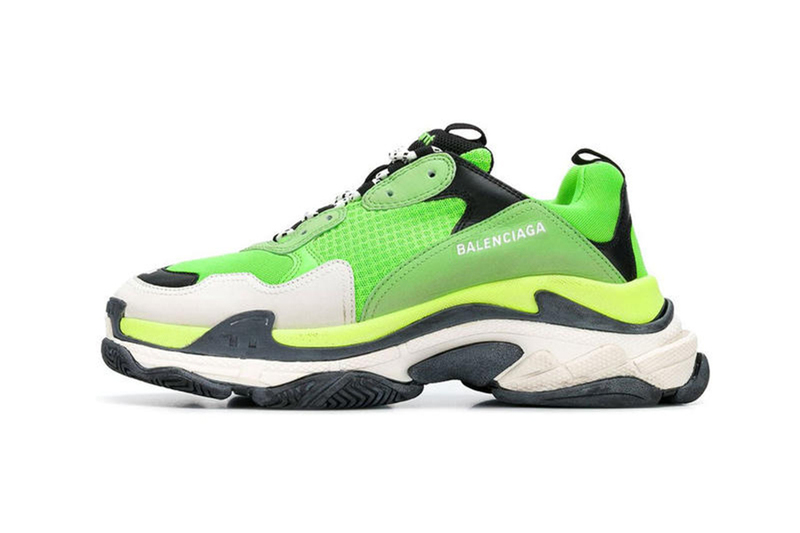 This edition of Balenciaga’s Triple S is currently available at select stockists such as Farfetch for $895 USD. In related news, you can pre-order Balenciaga’s patch-pattern anorak for $1,650 USD now. With the most advanced LCD display on a smartphone. Introducing the future of the iPhone. Cracking down on hate speech. A premium remake of the tactical silhouette. Building up their fan bases.